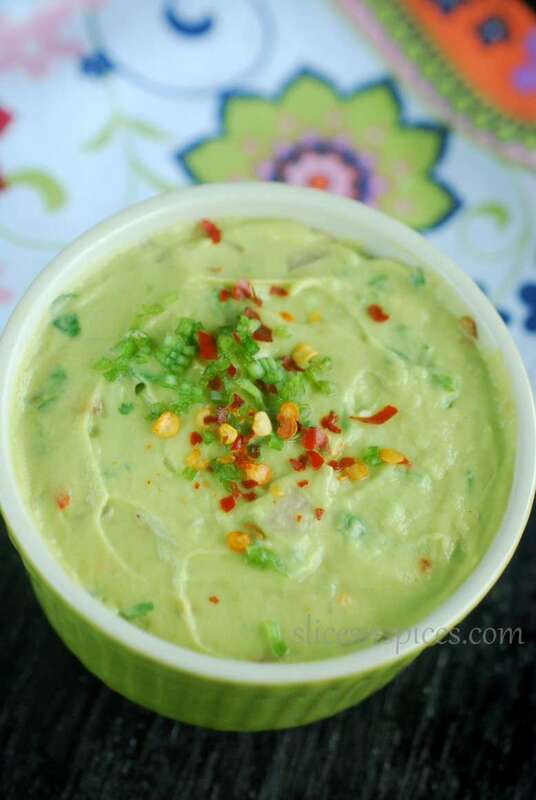 Avocado salsa, is a different and delicious way of making a dip/appetiser. On day 28 of 30 days 30 salads series, I made avocado salsa, a less tangier but equally delicious variation of this tomato and plum salsa and mango salsa. 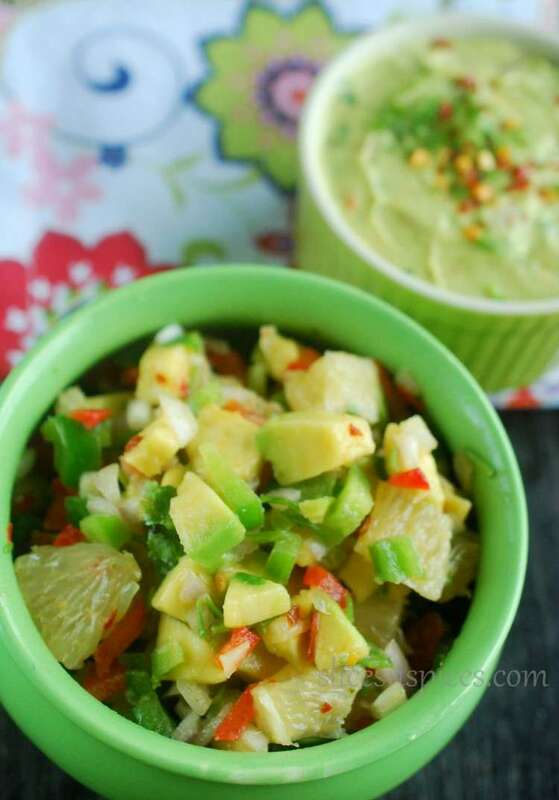 I have added few wedges of sweet lime (mausambi),which adds citrusy sweetness to the salad. A part of my avocado was extremely ripe, so I carefully removed it and used to make this Guacamol. I had earlier used guacamol as a dressing for green salad. 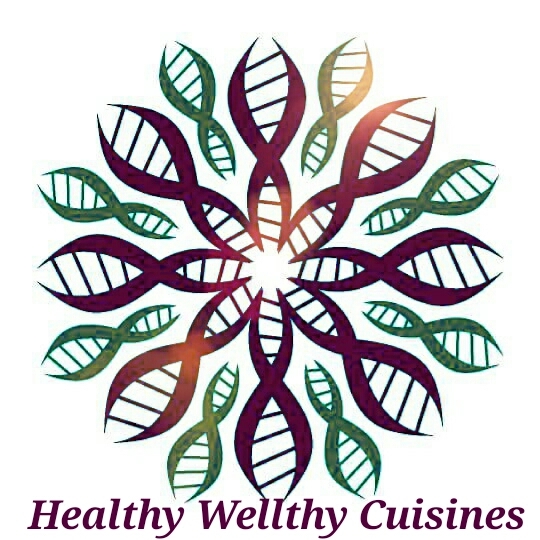 Check out the recipe for green salad here. 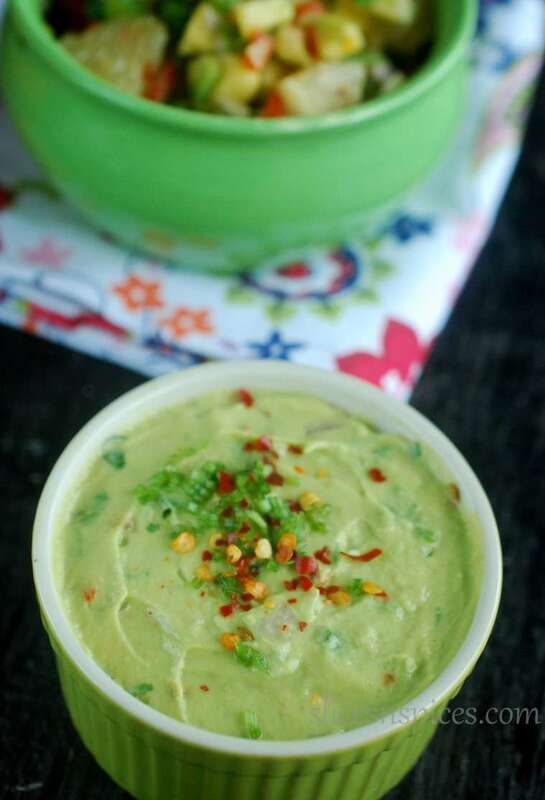 A simple salad/dip/appetiser, this avocado salad is a super healthy mini meal in itself. 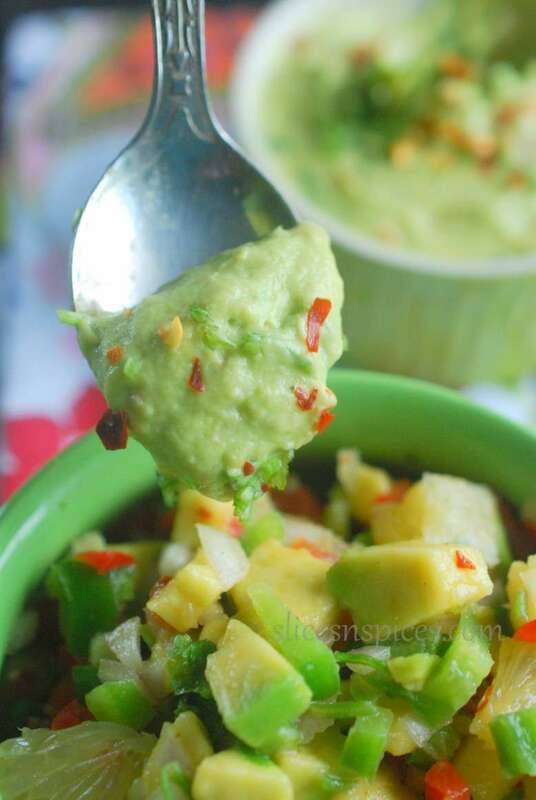 So , here’s a simple recipe for Avocado and Sweetlime salsa. Add all the chopped vegetables in a large bowl. Mix well. Prepare dressing in a seperate bowl by mixing salt, chilli flakes, garlic into the leom juice. Pour the juice over the veegtables, toss and mix well. Serve as a salad, appetizer or as dip . Remove the pulp of avocado, blend it along with other ingredients in a blender jar, use as dressing. You can also keep few pieces of avocado aside, if you want the dressing to be bit chunky.